"A couple of people I trust say you're really good at this." 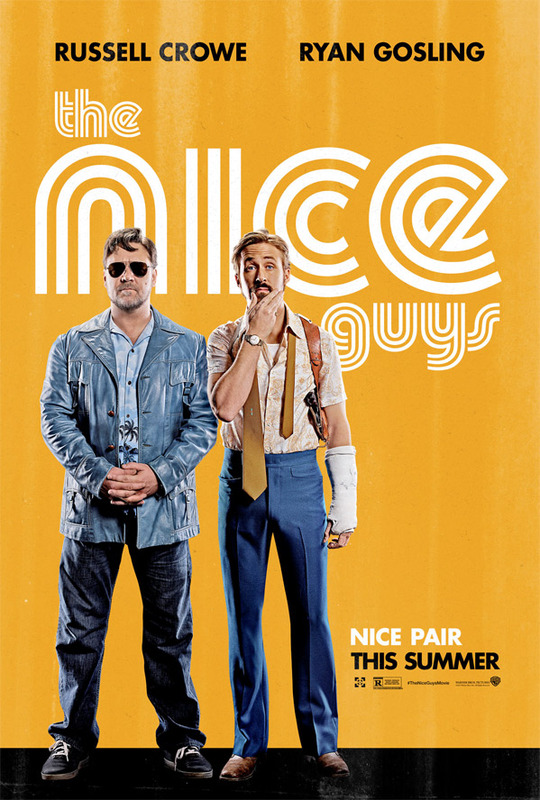 Warner Bros has unveiled the first full, red band trailer for Shane Black's The Nice Guys starring one amazing duo: Ryan Gosling and Russell Crowe. Gosling plays a private detective who ends up mixed up with Crowe's Jackson Healy, a shady character that helps people in trouble. The full cast includes Matt Bomer, Kim Basinger, Rachele Brooke Smith, and Ty Simpkins. This looks like crazy, raucous, violent fun. It's supposedly a "spiritual sequel" to Black's Kiss Kiss, Bang Bang and it definitely has that vibe. I'm so glad they went red band on this, because that's the best way to sell this. It wouldn't work as well if they censored everything. You don't want to miss this! This looks great. That toilet scene was gold. Agree that is started off gold...but from the trailer, it was overdone after a few times opening the door. I rarely laugh out loud at a trailer but this one I did. Perfect pairing of Crowe and Gosling. The gun throwing scene cracked me up. What an incredibly pleasant surprise. Seeing this. Shane Black is a master of buddy-crime movies. Looks like a fun time. Pretty funny considering that Crowe and Gosling aren't exactly known as the modern Marx Brothers. I'm in. I dig it. The pacing of a Black movie is unique. Ceowe channeling some John Goodman? Will peep. looks much better than I could've imagined. awesome.